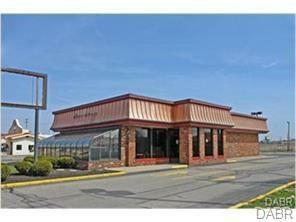 This former WENDYS location would make for a great restaurant of any kind. This location would be great for a pizza restaurant or carry out, even a convenience store.Property has new roof tops and new roof. Updated electric and basic updates inside such as new ceiling and refinished wood trip. There is new ceramic flooring throughout the building.Building offers a set of restrooms and three walk in coolers. Kitchen and counter area can be built out as requested.Owner can provide updates.